As far as hair tools go, few are as massively undervalued as the humble brush. 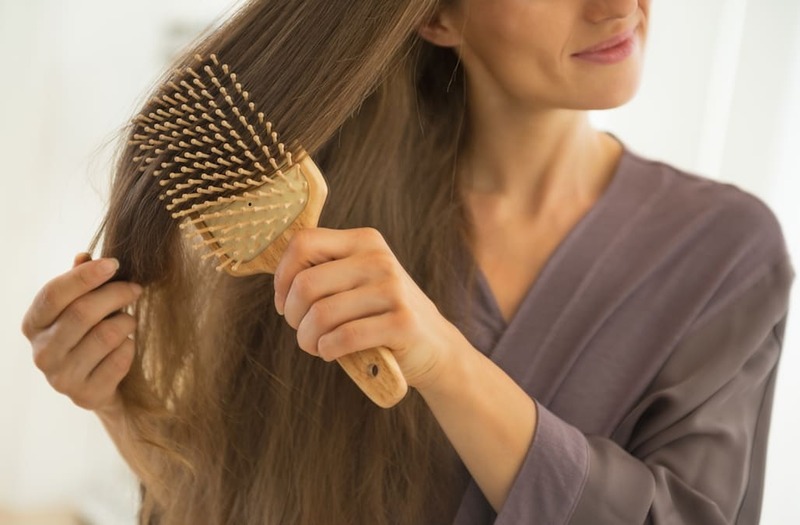 It might not be as fun to use as, say, a Beachwaver, but the right brush can be a serious gamechanger for both the look and health of your hair. The issue: All brushes are not created equal. In fact, figuring out how to actually choose one for your texture can be a tedious exercise: boar, metal, or nylon? Round, vented, or paddle? To make things easier, we enlisted the help of top stylists who break down the exact types of bristles that play best with every type of hair. According to Dougherty, brushes with mixed bristles are especially beneficial for curly hair. “I like a blend because it provides a lot of tension and creates high shine curls and waves," he said. This type of brush is also key if you're looking to add volume to your hair, especially when the bristles are wide spaced. A nylon brush is versatile, but it's best for someone with medium-to-thick density because the bristles' flexibility make detangling super-easy. Nylon brushes are also champs at distributing product evenly before wrangling a hairdryer. Both Toth and Doughtry recommend using Denman brushes on natural hair—the rubber base helps minimize static and provides enough tension to help smooth out your hair's cuticle, while the rounded pins on the nylon bristles allow safe and gentle penetration. "Typically the curl of natural hair is very tight with thicker density but the strand texture tends to be more fine and can break," says Doughtry. "This brush allows for quick drying and passes more easily through your hair." Toth adds that using Denman brushes while blowing out textured hair will help create softness and shine. “A metal round brush can be used on extremely straight hair to give your hairstyle more bounce, curl and volume,” explains Toth. Used with a hairdryer, the barrel heats up like a curling iron, which produces similar results. And, like curling irons, the size of the barrel defines the size of the curls. If your hair is damaged, thinning, or fragile, however, steer clear of overusing. “The metal gets extremely hot and will wreak havoc on hair, which will cause excessive damage over time,” Dougherty says. Two things to keep in mind when using metal brushes: Always spray hair with a thermal protectant before blowing it out, and always keep the dryer moving.